It doesn’t matter if you are into cars, trucks, boats, airplanes, electric or nitro – we all need a good charger on our workbench or pit table. 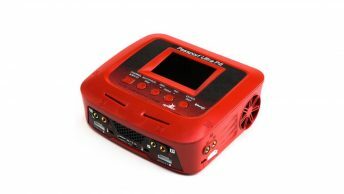 With all the battery types out there NIMH, LiPo, LiFe, we need one that will charge them all and any charger that can do more than just charge is always a welcomed tool. 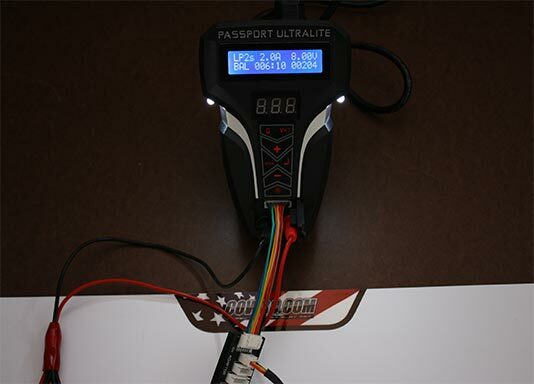 After hearing the Local Hobby Shop, BigBlueHobbies, rave about the Dynamite Passport UltraLite I decided to get my hands on it and find out what all the fuss was about and how it really stacked up against my favorite charger, the Hyperion EOS 0606i. 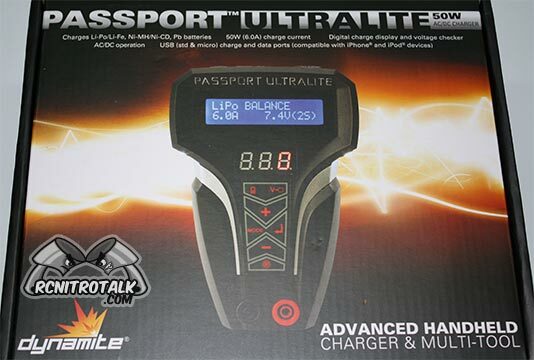 To start the Dynamite Passport UltraLite charger comes packaged with a balance board with wiring, AC power cord, insulated output cord with EC2 connector, manual, and warranty information. These work perfect and I’ve used the above cable for years. The only downside of these cables is if you still have the battery plugged into the cable and remove the banana cables from the charger – if those two leads touch all kinds of ugly can happen… I’ve seen it happen. It’s ugly. 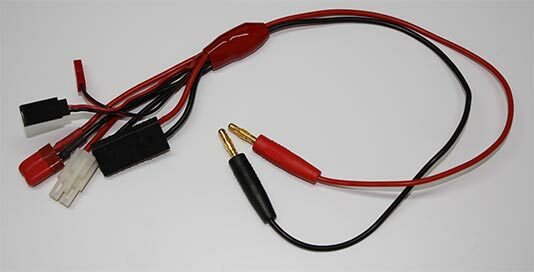 The output cable that Dynamite ships with the Passport UltraLite is insulated not only on the outside but if you look into the plugs you’ll also notice red “caps” which really to make it impossible to short out a battery that might still be plugged in. 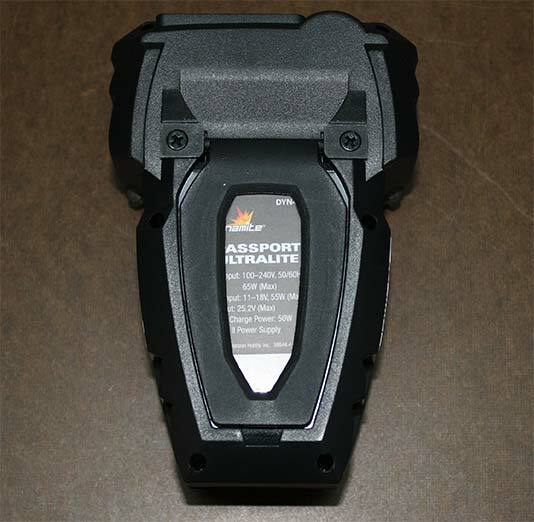 That said we tested the Dynamite Passport UltraLite charger with two types of batteries. 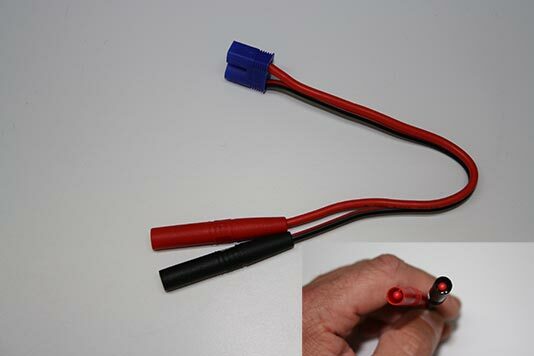 A balance charge on a 5000mAh 2S LiPo battery I run in my Traxxas Stampede VXL and a normal charge on a KillerRC 2300mAh LiFe battery I run in my Futaba 4PL. 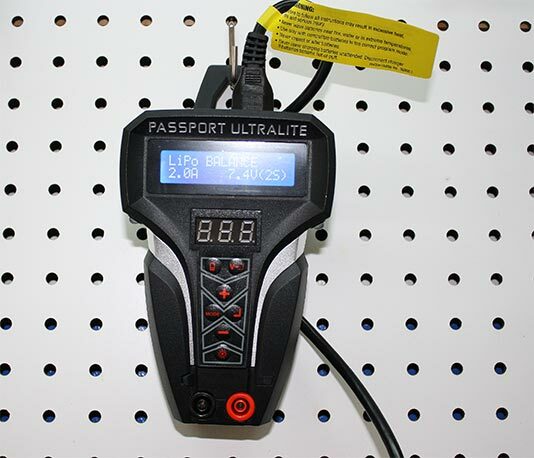 The display was very easy to read and cycling through the different battery types and modes was extremely easy with the Passport UltraLite. It doesn’t get any easier than the Passport UltraLite and if somehow you do get confused Dynamite ships a nice large manual with the charger, but really you probably won’t need it. Dynamite also includes a built-in stand for the Passport UltraLite which works for the most part. I found the charger wanted to tip over or the stand would move while trying to select different modes on the charger. However the Passport UltraLite easily fits in your hand so you can simply pick up the charger, select your charge type, and start the charge then simply use the stand to elevate the charger display for easier viewing. Or the one thing I really liked was the ability to swing the stand all the way out and use it as a hook to hang on a pegboard. This type of placement keeps the charger readily available without the need to move the charger nor take up space on the workbench. One other feature I wanted to touch base on is the 4 LED lights, two on each side, found on the Dynammite Passport UltraLite. Which allows you to add additional light to your work area while working in darker areas. 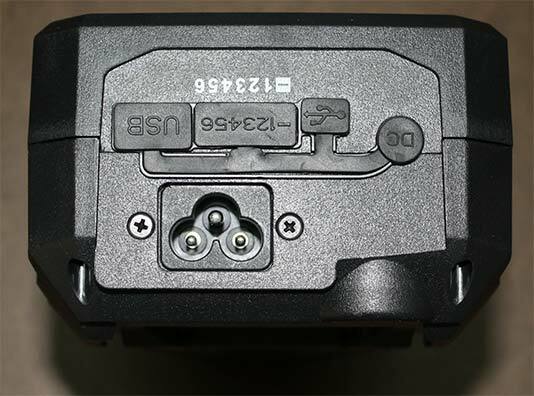 Each side can be turned on independently or both on at the same time. With both sets on the LED lights did provide a surprisingly amount of extra light on the workbench. 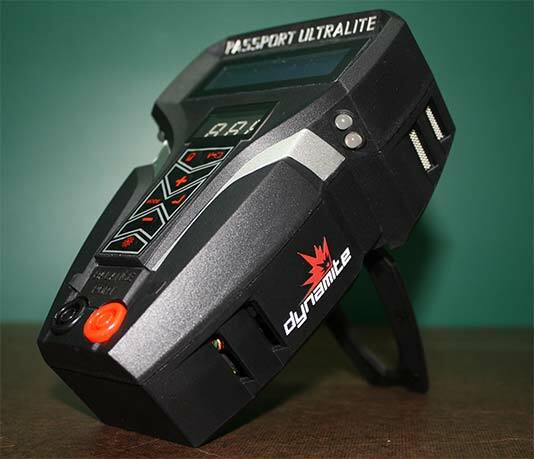 Dynamite labels the Passport UltraLite as a multi-tool and I think they certainly hit the mark on that. The charger does exactly what it should do and does is very well and with an extremely easy to use interface to boot. 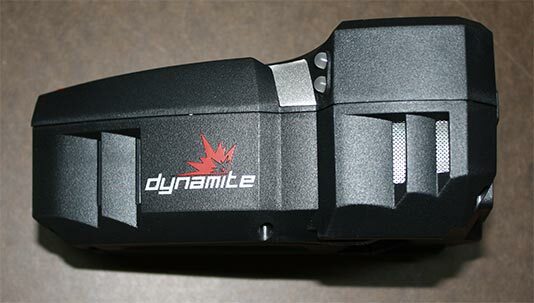 In addition to that Dynamite has added a number of features such as the ability to charge your phone via the USB port, light up your work area with the LED lights, and ability to check the voltage of each cell with the built-in voltage meter and wrapped it all up in a small, rugged, and durable case. 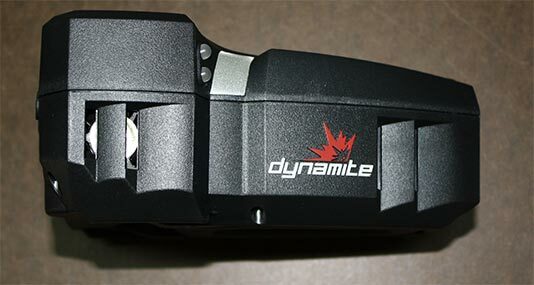 The Dynamite Passport UltraLite does everything my Hyperion EOS 0606i can do and more while costing less. If I could ask for one more feature that would be the ability to check battery capacity, similar to what I can do with my Hyperion EOS Sentry. That would allow me to get rid of two things on my workbench all while adding the other nice features of the Passport UltraLite. That said it certainly doesn’t take away from the charger and if you’re looking for a new charger I’d really recommend giving the Dynamite Passport UltraLite charger a serious look. SPECIAL THANKS: To my LHS, Big Blue Hobbies for providing the charger for review! If you’re looking for anything R/C related be sure to check these guys out. 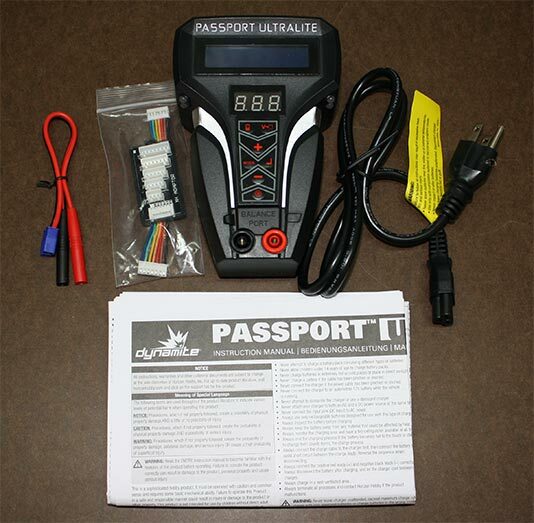 Discuss the Dynamite Passport UltraLite in our Chargers and Batteries forum.